HomephilosophyWhat Gives Me the Right? I offer a lot of opinions on this blog (I think “opinions” and “blog” are almost synonymous). And a lot of the time, I stress out about it. Not just about whether I have my facts straight, or that what I’m saying deserves to be said. I stress about how anyone could believe I have a right to spout off on Torah, Talmud, Judaism, etc? While I can appreciate and respect that opinion, I can’t live by it. The learning my friend is talking – learning what the great Rabbis had to say – about is one important aspect of Torah, but another is the act of grappling with the ideas, of finding out who I am by hearing myself talk about the things Torah is saying. Yeah, you read that right. Some people think before they speak. I think while I speak. Want to know what I believe? Ask me and wait for me to stop talking about it, and then ask me again. It’s just the way I’m wired. I don’t confuse being able to ask a question with having all (or any) of the answers. As I’ve said here before, if you have a real question – a challenging issue which affects the way you will behave, then CYLR (Consult Your Local Rabbi) applies. But without starting the process of thinking about what you think, you’ll never even get that far. That still doesn’t address my original point, though – what gives me the right to express those ideas here, in public? Why do I think that people should read/listen to me instead of using the time to read Heschel or Hertz or Hillel? Isn’t it arrogant of me to think that anyone (besides me, and maybe my dog) wants to hear what I have to say? “This is a fear and a paradox of doing work that’s important. A fear because so many of us are raised to avoid appearing arrogant. Being called arrogant is a terrible slur, it means that you’re not only a failure, but a poser as well. It’s a paradox, though, because the confidence and attitude that goes with bringing a new idea into the world (“hey, listen to this,”) is a hair’s breadth away, or at least sometimes it feels that way, from being arrogant. And so we keep our head down. Better, they say, to be invisible and non-contributing than risk being arrogant. In 3 short paragraphs (I believe Seth doesn’t have a long-winded bone in his body. I am, to say the least, insanely jealous.) he both named my biggest fear (being exposed as the fraud I sometimes feel I am) and offered me a way past it. 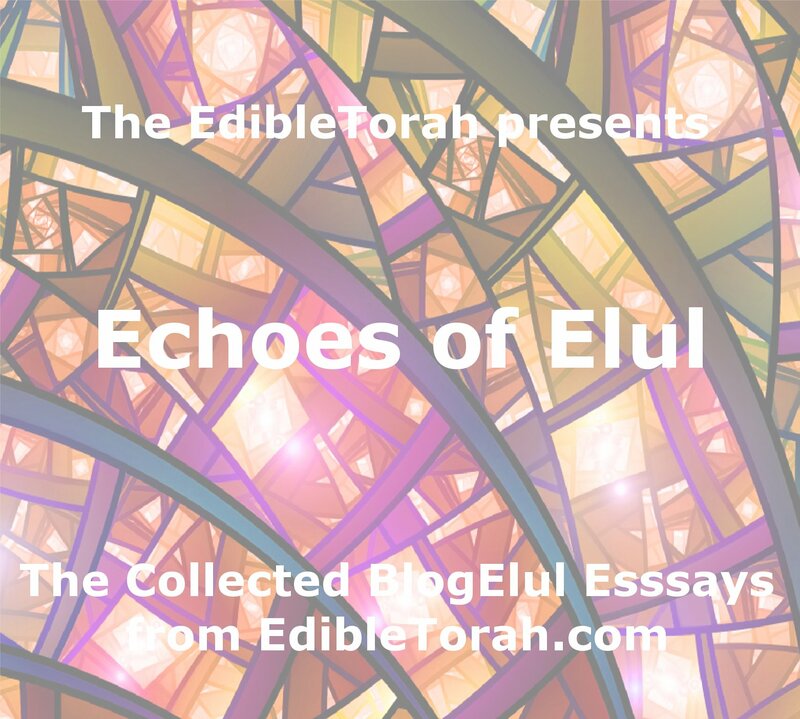 I believe that what I am doing here on EdibleTorah is important. I believe the ideas I present here have helped people in their own journeys. Reading Seth’s article also made me reflect on the reality. Nobody – not a single person – has written to me privately or in the comments of a post to tell me that I was a fraudulent hack. So it’s time to let that one go. Along with the regular weekly food invitation (which is still the core focus of this site), I’m going to keep putting my ideas out there. They might amount to nothing. But then again, they might not. Torah vs TLC: Vayeitzei and "Sister Wives"
Point-CounterPoint: Youth Friendly? Why Not Just Plain Friendly? Leon – As usual, a well-written, honest piece that demonstrates your penchant for self-examination and self-scrutiny, as well as your conscience around a very diffusely defined entity, namely the blogosphere. So let me share with you my take on this. You need to not worry, especially if you continue writing in the philosophical vein that has been your territory. 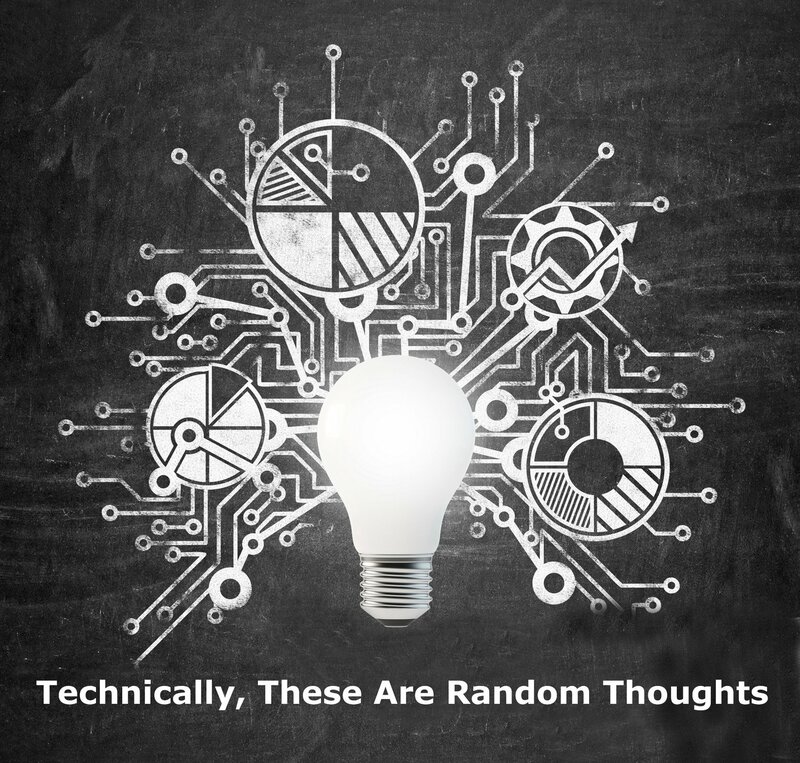 There is nothing wrong with anyone writing their philosophical thoughts and ideas in a blog. And I mean anyone, whether I love them or find them reprehensible. As soon as someone starts to blog on halacha (Jewish law), then all bets are off. Same thing with someone making recommendations on their blog about any aspect of Jewish practice. Jewish law and Jewish practice cannot be learned from the Internet. Nor from a book. Nor from lay friends. If someone goes to any of those places, they will get the right answer only by dint of chance. Look, anyone can read Zollinger’s Atlas of Surgical Operations and find all of the details to remove a spleen. But a person who goes to someone whose only qualification is Zollinger’s Atlas of Surgical Operations to have their spleen removed deserves whatever they get. Just as a trained, experienced surgeon is the only person you should trust to cut you open and tapdance on your organs, so too only a trained, experienced Rabbi is the only person from whom you should learn halacha and Jewish practice. And ideally , it should be a Rabbi with whom you have a connection and a relationship, one who knows you and your place on the path. Why? Two related, diametrically opposed reasons: all other sources will either tell you to do too much or too little. 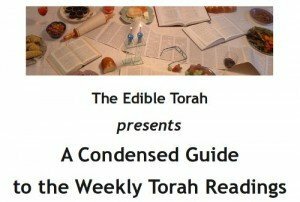 For example, as tremendous works as the translated Mishnah Brura and Rabbi Blumenkrantz’s amazing digest of Passover Laws are, if you only read these you’d go insane trying to follow all the details – if you’re not ready. On the flipside, if you try to learn halacha from less rigorous Internet sources you’re practice may well be deficient for your level. Only a Rabbi can tell you what is necessary, what is a stringency, when you should take on that stringency, etc. and often more importantly, what are the kulos – the lenient rulings – that you can take advantage of in a given situation. So stick to the philosophy and outlook and the experiences that you’ve always shared. You’re fine, and the blogosphere would be far worse without you. BS”D Why was Torah given in the desert? Because just like there is no ownership of the desert, no one owns Torah. No one commentator has exclusivity to Torah thoughts. With that being said, a person has the right not to listen to comments from you and me. To each their own. 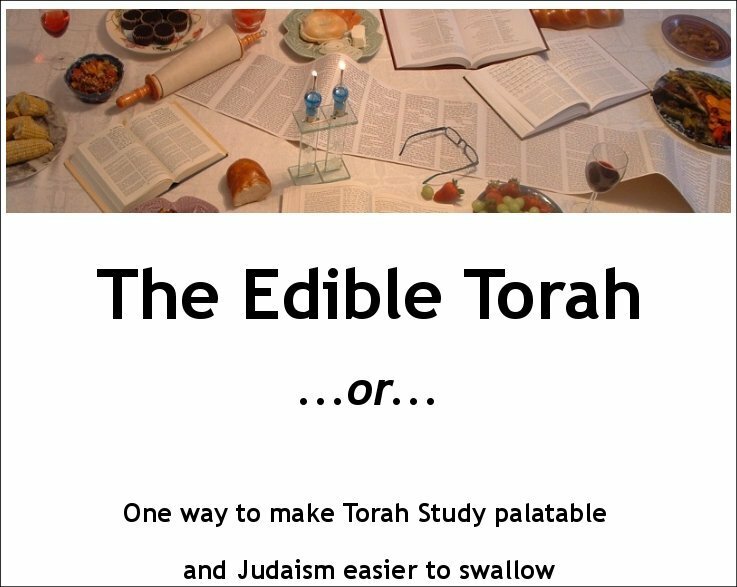 I am versatile enough to be able to get something out of a Rashi and something out of an “Edible Torah” posting. It is all about a personal relationship with Father above, not about opinions. I personally do not give a rip about anybody’s opinions, but how they connect Scriptures together and share those thoughts are an important aspect showing their relationship with the Father and those around us, something we do not get from the sages–we have no idea what relationship was.